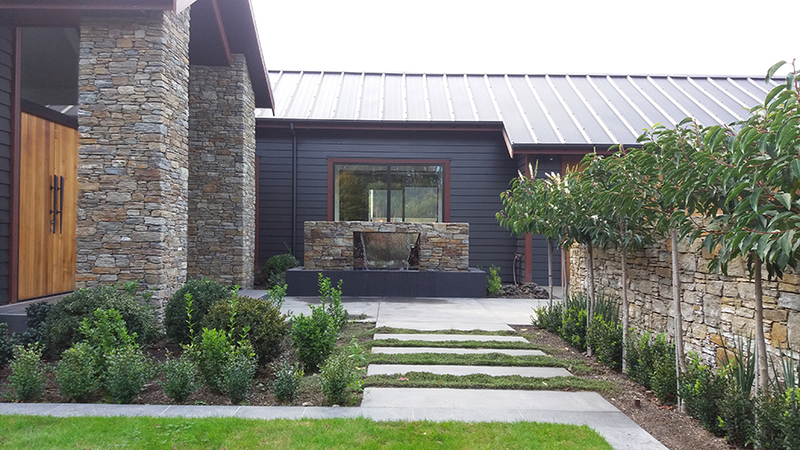 The team at Evergreen recently completed one of the most impressive stone water features we’ve been tasked with: and the resulting waterfall structure was outstanding! We’ve worked a lot with stonework over the years, and we’ve developed a true feel for the material, the colours, the unique edges and surfaces. 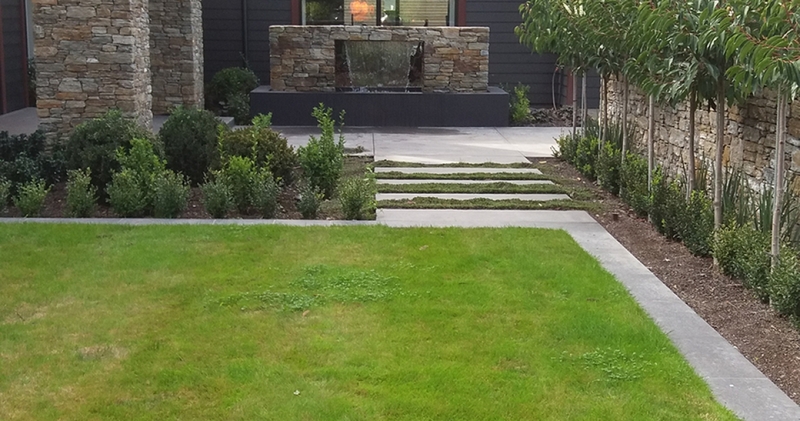 We love the texture stonework features add to an entrance way or outdoor setting, from fireplace surrounds to seating, or as in this case – an absolutely stunning water feature. 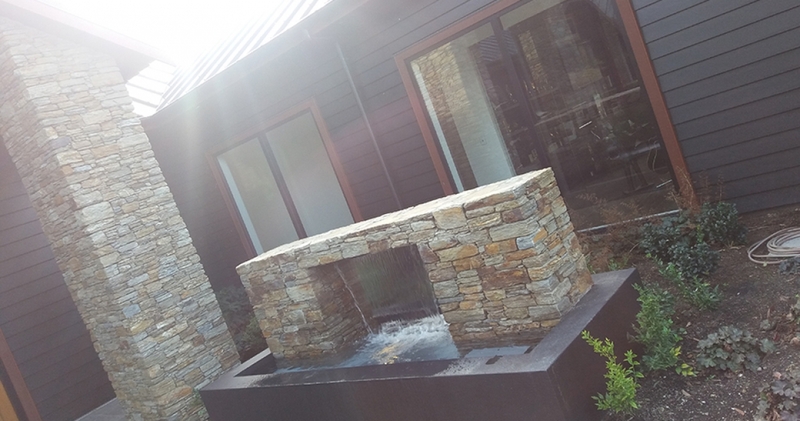 In this instance, our clients had engaged an architectural firm to design a robust stone outdoor water feature, with a large volume of falling water which would come from fixed internal plumbing, embedded tastefully within the surrounds. 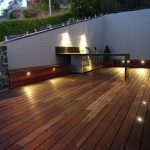 We were on this job for a total of 6 months, culminating in the construction of this water feature – so we were well prepared for the required design look and feel. This was a big job, involving a concrete foundation, stonework and a lot of plumbing to achieve that high volume of water. Our team liaised with the stonemasons to build the surround, while we constructed and installed the steel lintel, the U-shape feature visible on the completed structure. Our clients we absolutely overjoyed with the results after our final adjustments. The stone water feature can be clearly seen and heard from the adjacent office, and the look offsets the existing design perfectly. 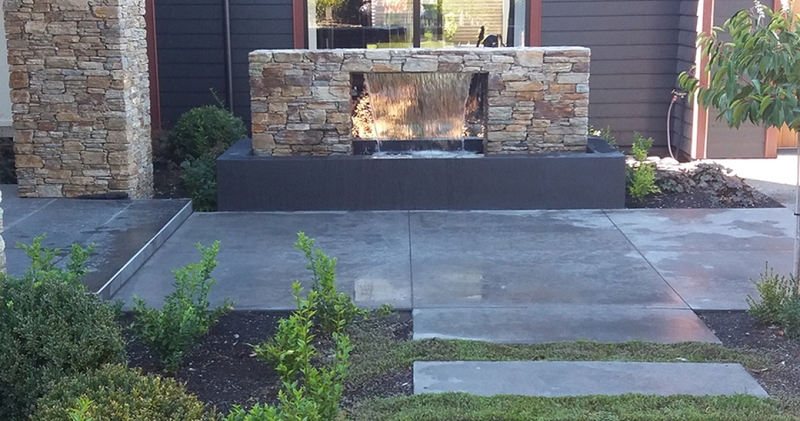 This was a first for our team – this kind of fully constructed, self-draining, self-filling water feature with hidden plumbing – and we are really impressed with the outcome. We’ll be excited to use these particular skills with new clients, as the water fountain has proven itself to be a very low-maintenance, modern and stylish option.